Had a going away party on Saturday hosted by Chris and Jen (thanks guys). The cake, courtesy of Liz, is all edible and totally amazing. Still got a bit left but it’s going fast. Was great to see a lot of my wonderful friends before leaving – if you couldn’t make it will see you when I get back! 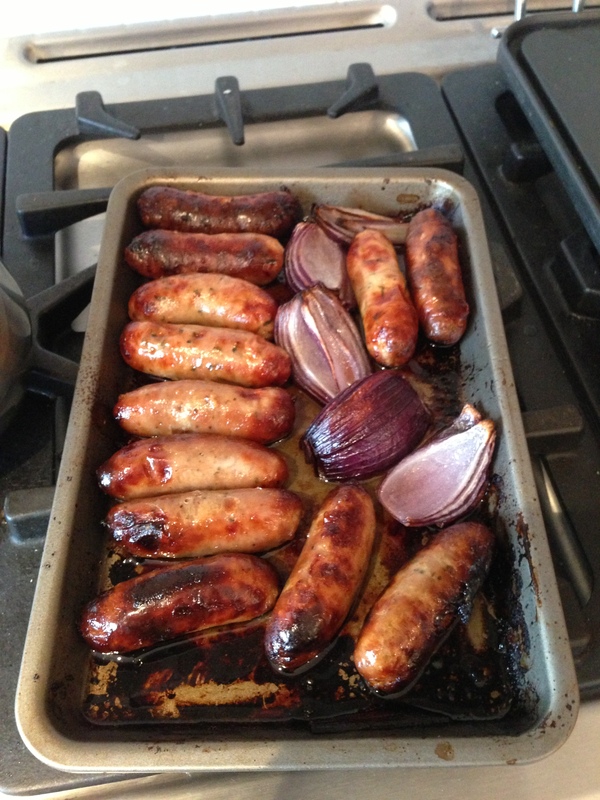 In other news, had to cook a lot of sausages due to defrosting the freezer! Last day at work before I leave tomorrow and lots to do, both in terms of work and final prep. Will try and fit a blog in later , by which time I should be ready to go, touch wood. This entry was posted in Bike around Britain 2013, Fun stuff, General and tagged balanced diet, bike, Cake, cycle touring, cycling, expedition on April 30, 2013 by SelfPropelled. Good luck! I’ll be waiting at the finish line (will that be Lowestoft?) with my cheque book. Do take lots of photos and, if possible, audio. And of course I will be stalking you online! 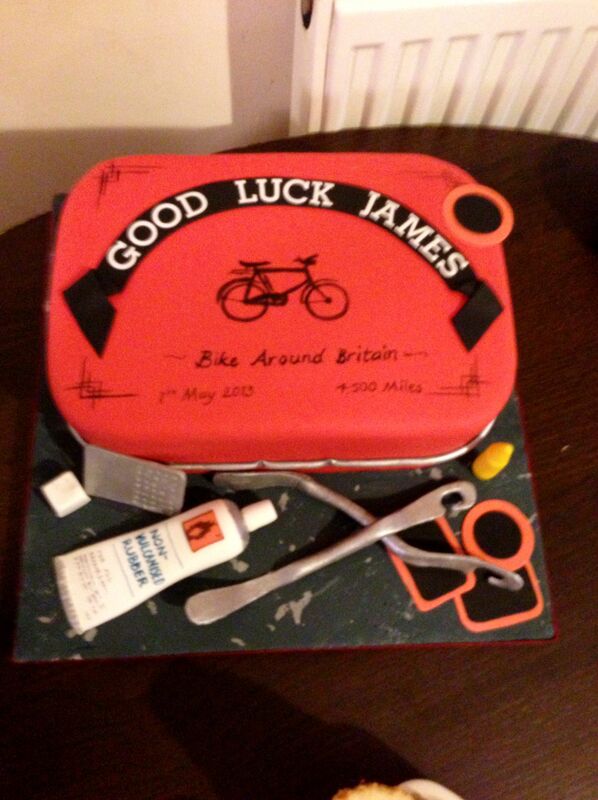 Bonne chance James! Your Mother told me about your trip! A wonderful thing to do! All the very best to you!